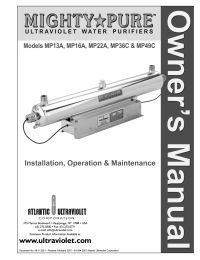 The 10-0161 Transformer Ballast is a replacement for the discontinued 10-1070 transformer ballast, the Atlantic UV Mighty Pure MP13 Series, and Sanitron S14 Series. It features an input voltage of 120 VAC with a frequency of 50/60 Hz. 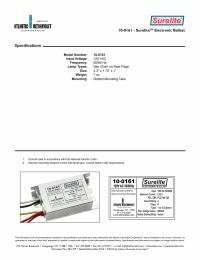 This transformer ballast works with a variety of lamp types, and has slotted tabs for mounting. Size: 3.3" x 1.75" x 1"